Showing 44 articles from March 29, 2017. LOUISBURG -- Although the numbers won't be official for a few weeks, it appears that Franklin County Schools are on track to request an additional $1.1 million in current expense money from the county commissioners next year -- and plan to dig deeply into their fund balance to make that budget work as well as to help pay for many needed repairs. The board of education met Monday night in a budget-only session to tweak the numbers before the budget request is formally voted on during the board's April meeting. RALEIGH -- Out of sight, out of mind: that's what most people think about air and air quality. A group of environmental leaders, including Novozymes, is working to change that with a dazzling display of science, light and art. They unveiled their project, Particle Falls, in downtown Raleigh last week, an animated light projection on the side of a four-story building one block away from the State Capitol. 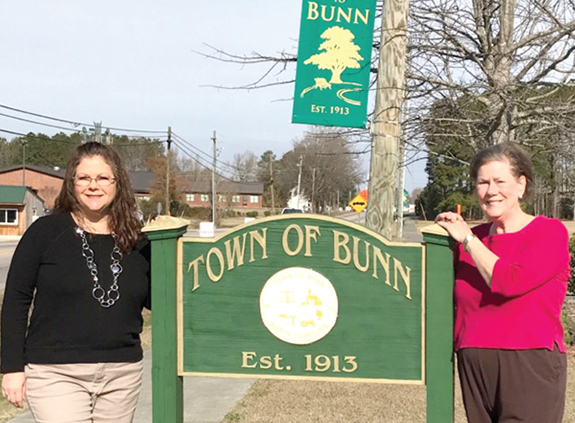 BUNN -- Bunn's Wikipedia page, when it comes to town government, will have to be updated. That's because for more than two decades, Judy Jeffreys has served as the town's clerk, helping put the town's policies into action. That job will fall to Pamela Perry, who has been part of a transition process since Jeffreys announced her retirement last year. That retirement will take effect on Friday. EXHAUSTING. The exhaust system, above, right, has been put in and meets state requirements. It was the final holdup for the renovation. "Everything," said Franklin County Sheriff's Office Sgt. Rudy Baker, "has been completed, finished and satisfied." 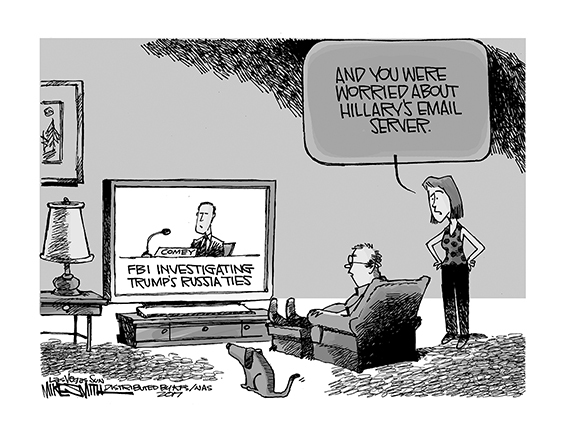 It was a result that was in question more than a year ago. 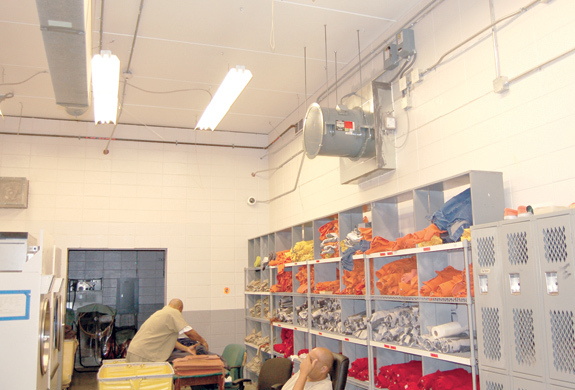 Jail renovations had been on the radar of sheriff's office staff and county commissioners going back to at least 2010. Sometimes it's difficult to connect all the dots and come up with a recognizable picture, but it's fun to try to solve the puzzle. Especially when the puzzle could involve some of our tax dollars. This puzzle began on, as I recall, a Friday about four years ago when we learned Franklin County Finance Director Chuck Murray was retiring -- a surprise since he seemed way too young to retire. Look in the mirror! Our problems are our fault! It has become painfully obvious to many Americans that our federal government in Washington, D.C. is in shambles. And there is no better example of the complexity of this crisis than the dispute over health care. That dispute has been raging for several years. While much has changed, much remains exactly the same -- and therein lies the problem. It's fair to say that I earned my lead foot honestly. My aunt and my grandmother were both known to lean into the gas pedal a bit. And it didn't help that one of my favorite television shows growing up was the Dukes of Hazzard and one of my favorite movies growing up was The Cannonball Run -- both odes to fast cars. I am glad that the bill to "Repeal and Replace" the Affordable Care Act failed in the House of Representatives last week. I am glad because the bill would have caused hardship for millions of Americans. 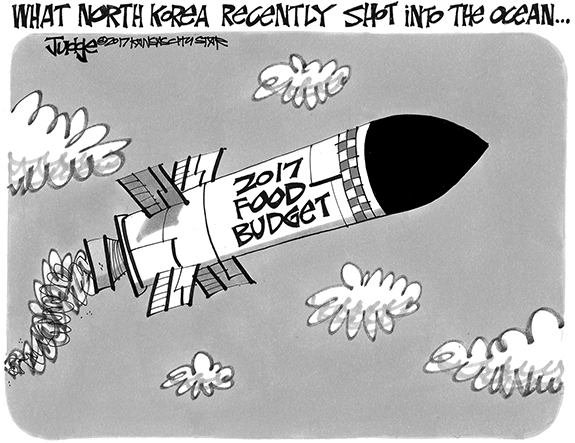 As a Democrat, I can take no credit for this, however. 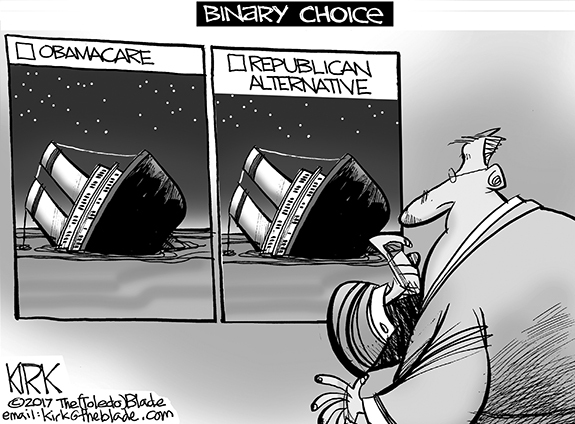 The Republicans had more than enough votes to pass the bill - in the House and in the Senate. Why do kids take knives and guns to school? Reason? The bullies. They can't find help, so that's why. No one cares until it's too late. LOUISBURG--Funeral services for Bessie Louise Harris, 80, who died Tuesday, March 28, 2017, will be held Tuesday, April 4, at 2 p.m. at South Main Street Baptist Church in Louisburg. Burial will follow in Oakwood Cemetery. LOUISBURG - Funeral services for Emauri Joi Manley, age 6, who died Monday, March 27, 2017, will be held Sunday, April 2, at 3 p.m. in the Edward Best Elementary School Gymnasium, Louisburg, with the Rev. Douglas Harris officiating. Burial will follow in the Ellis family cemetery. Lillie Belle Edwards Griffin, 95, formally of Castalia, NC, died March 26, 2017, at Crystal Bluffs Rehabilitation Health Care Center in Morehead City, NC. WARRENTON - Funeral services for Nancy E. Coplin Boone, 92, who died Monday, March 27, 2017, will be held Saturday, April 1, at 3 p.m. at Pine Chapel Baptist Church in Hollister, with the Rev. Thomas Richardson officiating. Burial will follow in the Pine Chapel Memorial Garden cemetery. TAKE THAT. 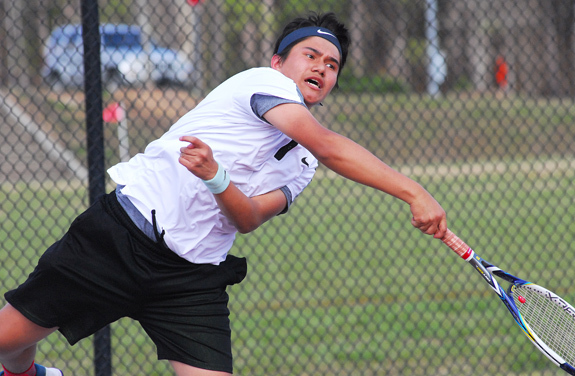 Franklinton High School's Dan Garcia delivers a big serve during his team's home tennis match Monday afternoon against rival Louisburg. 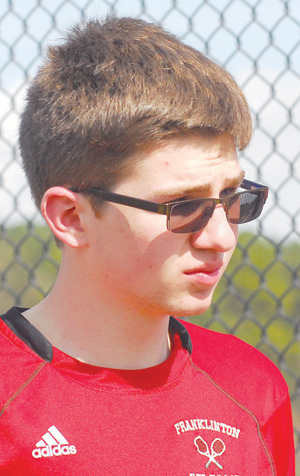 FRANKLINTON -- The first boys tennis meeting of the season between long-time rivals Franklinton and Louisburg didn't occur until Monday afternoon -- but the wait was worth it for the court Warriors. Visiting Louisburg picked up victories in four singles events and all of the doubles matches en route to securing a 7-2 decision over the homestanding Red Rams in non-conference action at the FHS Courts. ANTICIPATION. Louisburg High School's Christian Rowe follows the flight of this shot during last Thursday's Franklin County Golf Match at Green Hill Country Club in Louisburg. Rowe finished with a round of 49. LOUISBURG -- The team standings couldn't have been tighter for last Thursday's Franklin County Golf Match at Green Hill Country Club. 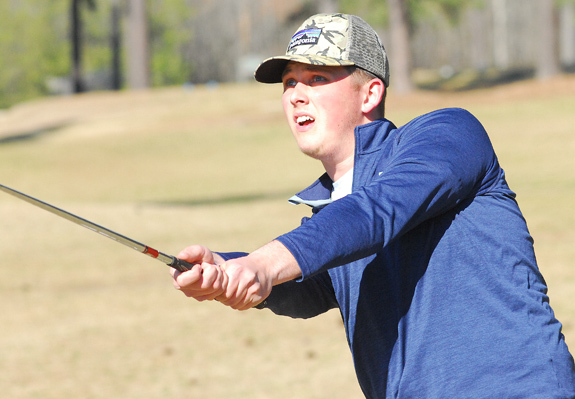 Franklinton, Bunn and host Louisburg all finished within five shots of each other during the nine-hole event. Franklinton -- by just one stroke -- was the winner at 202 shots, just a single stroke ahead of runner-up Bunn. Louisburg wasn't far behind with a team score of 208. BUNN -- It may have been the final signing ceremony for David Howle during his illustrious career as Bunn High School's head football coach. For that reason alone, it was a day to remember. But add in the fact that two high-profile, captain-worthy Wildcats signed letters-of-intent, and it was even more special. 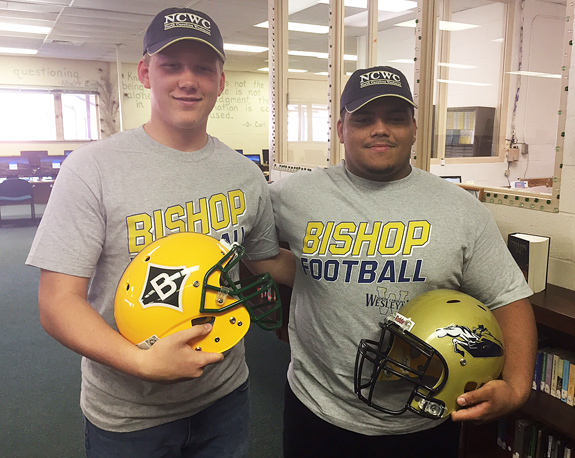 Bunn's Omar Rosa and Christian Murray will continue to be teammates for the next four years as they both accepted offers from North Carolina Wesleyan College as part of a dual ceremony at the BHS Media Center. LOUISBURG -- Even in defeat, the Louisburg College Hurricanes made history last weekend at the NJCAA Division II Men's Basketball National Tournament in Danville, Illinois. Following a trio of victories, including a semifinal thriller against a tough South Suburban squad last Friday, the Hurricanes moved into the championship game for the first-ever time. RALEIGH -- Even though the North Carolina A&T University men's and women's outdoor track and field teams weren't fixated on lowering times in Raleigh, the teams still garnered two first-place victories and one broken school record on Day 2 of the Adidas Raleigh Relays, which was hosted last weekend by North Carolina State University. For the women's squad, it was the 4x800 relay team that highlighted the day by setting a new school record in the event. BUNN -- Bunn scored 26 runs and didn't allow one as part of a strong two-game baseball swing earlier this week. Monday, BHS traveled to Louisburg to renew the backyard rivalry and left Warrior Field with an 11-0 victory. Bunn opened the game with five consecutive hits, including a leadoff base knock from Davie Morgan, as part of a five-run uprising in the top of the first inning. Morgan was 2-for-3 with one run scored and one RBI. Dylan Timberlake came through with two hits and three runs scored for the Wildcats. 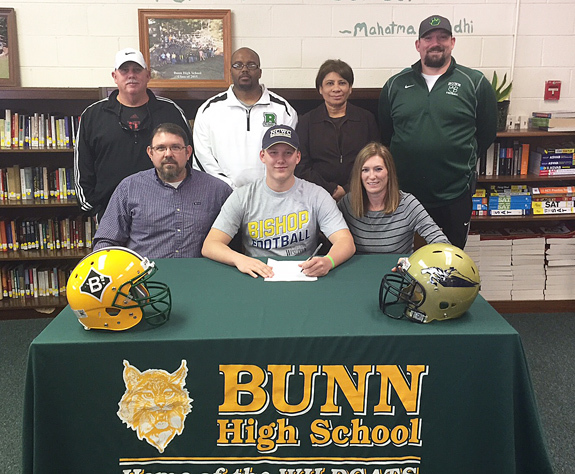 Bunn's Christian Murray signs a letter-of-intent to continue his football career at North Carolina Wesleyan College. Also pictured are (back, l to r) retired BHS coach David Howle, BHS assistant coach Terrance Blackwell, BHS Principal Laverne Daniels and BHS assistant coach/athletic director Chris Lewis; (front, l to r) parents Jamie and Carmen Murray. 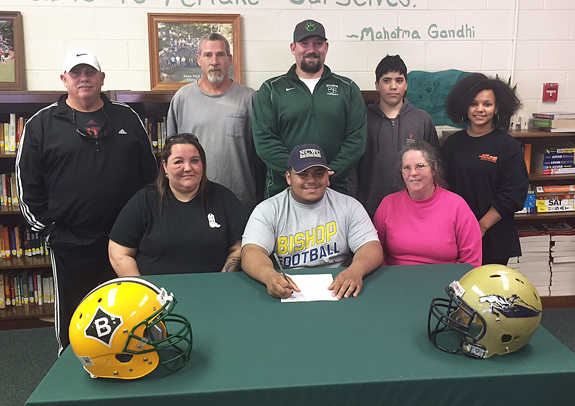 Bunn's Omar Rosa signs a letter-of-intent to continue his football career at North Carolina Wesleyan College. Also pictured are (back, l to r) retired BHS coach David Howle, Darrin Fuller (grandfather), BHS assistant coach/athletic director Chris Lewis, Tristan Rosa (brother) and Carmen Klinger-Rosa (sister); (front, l to r) Amanda Rosa (mother) and Grace Fuller (grandmother). ROCKY MOUNT -- The 8th Annual Earl Coley Golf Classic will be held May 26 at the Belmont Lake Golf Club in Rocky Mount. All proceeds from the event will go to the O.D. Moore Scholarship Foundation. A four-person captain's choice team scramble format will be utilized. Check-in will be at 8:30 a.m. and will be followed by a shotgun start at 9 a.m.
GREENVILLE -- Bryant Packard collected a career-high four hits and drove in a pair of runs, while Spencer Brickhouse and Eric Tyler each hit home runs as No. 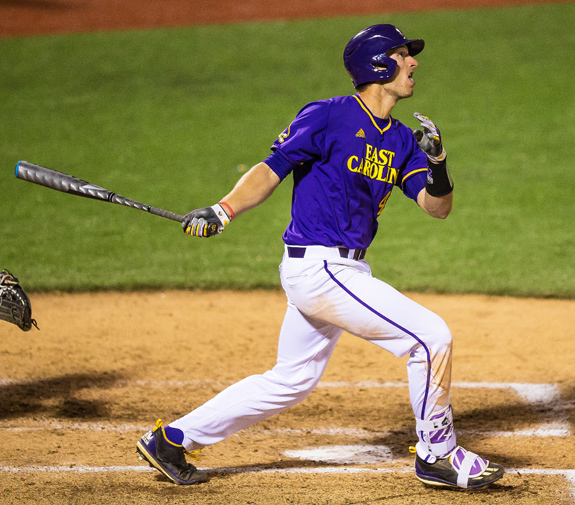 25 East Carolina University completed the three-game baseball series sweep of Towson, 12-7, Sunday afternoon at Lewis Field inside Clark-LeClair Stadium. With the win the Pirates improve to 17-8 on the season, while the Tigers fall to 8-10. 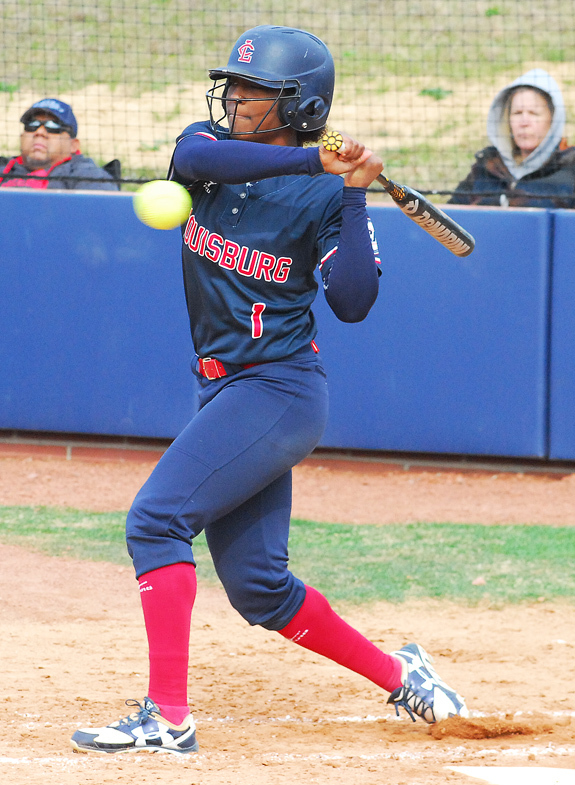 LOUISBURG -- Louisburg College's red-hot bats continued on a torrid pace during last weekend's Region X softball series at the University of South Carolina-Sumter. The Lady Hurricanes, now winners of 21 consecutive contests, rolled to a four-game sweep in the much-awaited region showdown. Last Saturday, Louisburg secured convincing triumphs by scores of 13-2 and 20-0. PRIZE CATCH. 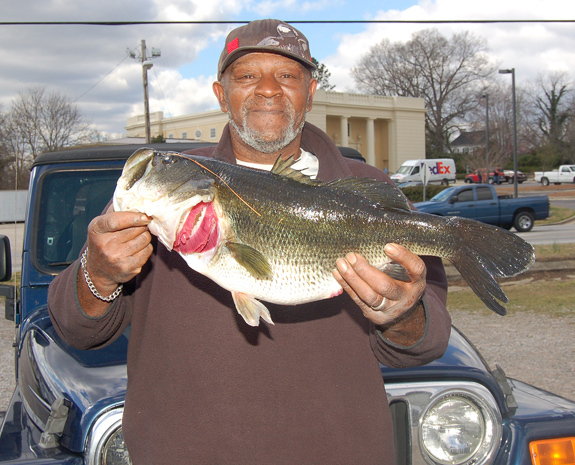 Raleigh resident James Massenburg recently reeled in this 11-pound, 2-ounce largemouth bass at a private pond in Franklin County. 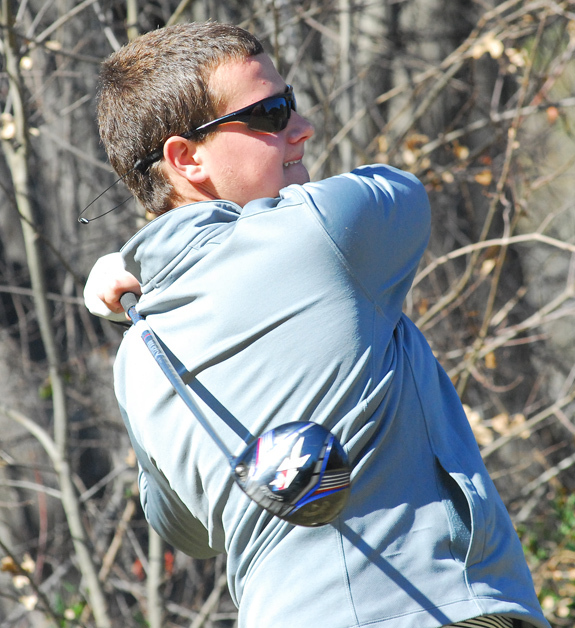 Bunn High School's Mason Horton rips a drive during last Thursday's county golf showdown. Franklinton High School No. 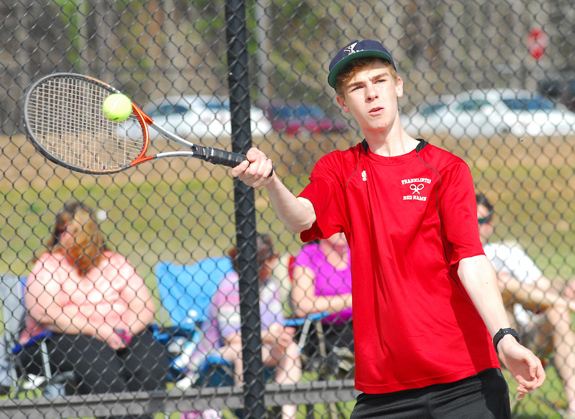 2 Singles performer Ben Henry executes a forehand return for the Red Rams as part of Monday's home tennis match against backyard rival Louisburg. An Industrial Edition of The Franklin Times published on June 28, 1935, features articles and photographs concerning notable business enterprises, merchants, and professionals in Franklin County. Among the doctors who were profiled was Judge Bustee Davis, one of two African-American physicians then practicing in Franklin County. The article about Dr. Davis details his significant accomplishments and includes a photograph of his son, Judge Jr., 12, who "took the highest honors recently in ratings in the county schools, including both white and colored." Kerr Vance Academy in Henderson released their third quarter honor roll this week. A FRAME CHECK! 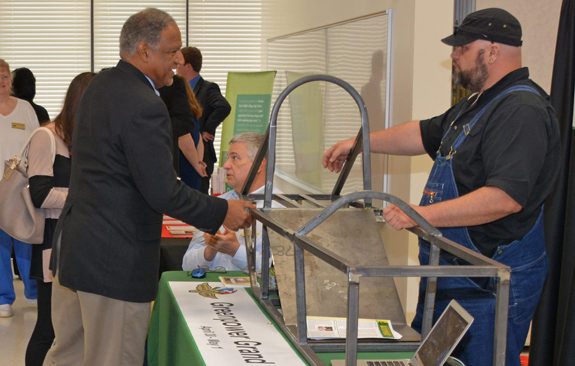 Wilson Community College trustee Kenneth Jones (left) checks out VGCC's display at the press conference, featuring the frame of a car that, when complete, will race in a national competition. WILSON -- Vance-Granville Community College shared the spotlight with eight other community colleges from the region on March 22, when Wilson Community College hosted a press conference for the "North Central Prosperity Zone," a 15-county area of the state that includes the four counties served by VGCC: Vance, Granville, Franklin and Warren. This first-of-its-kind event was designed to showcase the community college story. RALEIGH -- Governor Roy Cooper encourages young people in North Carolina to get involved in public and community service, including by applying to serve as a Governor's Page. Established in 1973, the Governor's Page Program gives high school students from all over North Carolina the opportunity to come to Raleigh for a week of hands-on participation in their state government. During its March meeting, the Franklin County Board of Education recognized Stephanie Brooks, principal of Edward Best Elementary School, Dr. Danielle Jones, principal of Bunn Middle School, and Trenace Gilmore, (not pictured), principal of Louisburg High School. 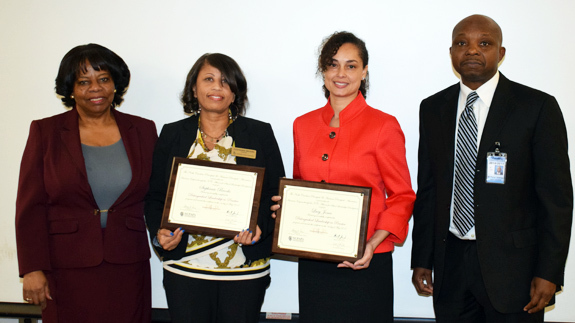 The three recently completed the Distinguished Leadership in Practice (DLP) professional development program through the North Carolina Principals and Assistant Principals' Association (NCPAPA). The program pairs acting principals with senior school administrators from across the state so that participants can further develop their skills as education leaders. Their goal is simply excellence in eduction for Franklin County Public Schools. And they have broken that down into both short- and long-term goals as they get organized and begin to raise the necessary money to turn goals into reality. 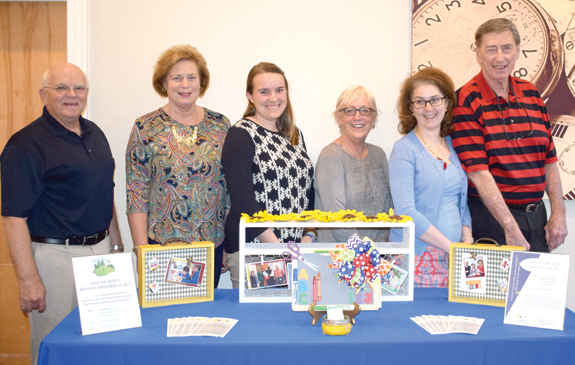 A major step toward those goals will happen April 8 when the Franklin County Education Foundation holds a fund-raising extravaganza in the Duke Dining Hall of Louisburg College. Tickets are $50 per person. YOUNGSVILLE -- A Bunn High graduate and Barton College freshman died late last week, the result of an all-terrain vehicle accident. According to the State Highway Patrol, Wheeler was operating the ATV on a private driveway near Clifton Pond and M.C. Wilder roads when it overturned just before 10 p.m. on March 24. LOUISBURG -- Police arrested a woman they allege stole a truck and went on a spending spree with the victim's credit card. According to investigators, Melissa A. Morrow and a friend went to a man's home in the 200 block of N. Main Street during the early morning hours of March 26, under the guise that Morrow had to use the bathroom. While Morrow's friend, who knew the resident at N. Main Street spoke in the doorway, police allege Morrow went inside and took the victim's keys, a cell phone and credit card. The stage is set for the 63rd Jabberwock Scholarship Program sponsored by the Oxford-Henderson Alumnae Chapter of Delta Sigma Theta Sorority, Inc. The event will take place at 7 p.m. on April 8, at Northern Granville Middle School's Auditorium in Oxford. 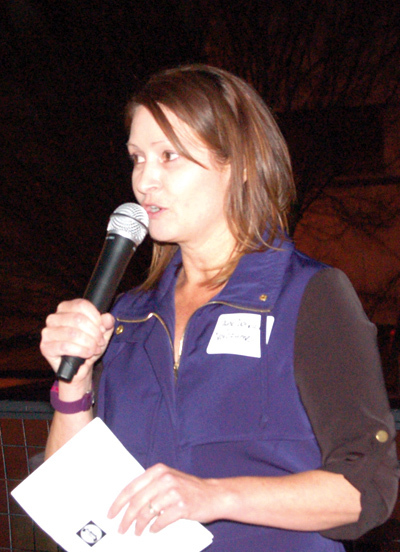 The emcee for the evening will be Cassandra Deck-Brown, Raleigh police chief and Franklin County native. The Jabberwock is the sorority's scholarship pageant that recognizes the contestants, their families, friends, and others who support their future pursuits towards higher education. LOUISBURG -- The Franklin County Community Foundation is currently accepting grant applications for projects funded from its community grantmaking fund, according to Al Wheless, board president. Funds are available for nonprofit organizations that serve general charitable needs in Franklin County. Applications are available online beginning March 24. Visit nccommunityfoundation.org for information about applying. 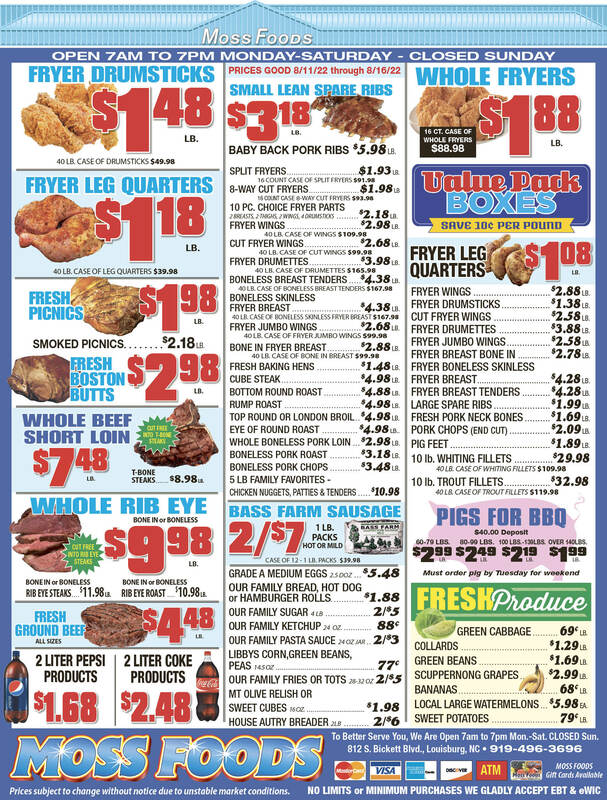 WINSTON SALEM -- Lowes Foods is closing a handful of stores, including its Louisburg Just$ave location. The Carolina-based grocer, with locations in North Carolina, South Carolina, and Virginia, announced the closures as part of a broader growth strategy to invest in new stores and continue major store remodels. As part of that strategy, Lowes Foods said, they will close five stores, including the Louisburg store on S. Bickett Boulevard. 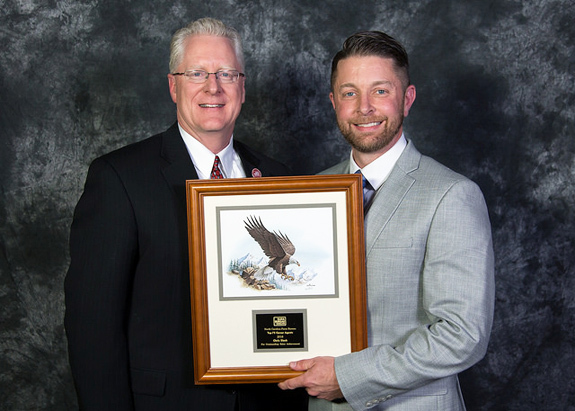 Chris Slack, Franklin County agent for North Carolina Farm Bureau Mutual Insurance Company, was named among the Top 75 Agents for 2016, by Steven D. Carroll, CPU, executive vice president and general manager. Slack was selected for this honor based on his outstanding sales and service record for multi-lines of insurance during 2016. North Carolina Farm Bureau Insurance Company has more than 785 agents across the state.